Ying Li is a partner in the Beijing and Hong Kong offices of Proskauer Rose LLP. Having been based in China and Hong Kong for over 20 years at leading international law firms, Ying’s practice focuses on labour and employment, China-related cross-border mergers and acquisitions, private equity, overseas public and private financing and outbound investments of Chinese enterprises. Ying regularly counsels multinational companies on entering into the Chinese market, structures complex investments and acquisitions in China involving joint ventures, wholly foreign-owned enterprises, partnerships and licensing, and advises them on regulatory and compliance issues. Ying also specialises in Chinese labour and employment law. He frequently advises clients on various Chinese labour and employment issues, such as employment contracts, restrictive covenants, benefits and incentive plans, social welfares, labour disputes, lay-off and termination, restructuring and collective bargaining. Ying graduated from Peking University Law School with LLB and LLM degrees and Harvard Law School with JD degree. 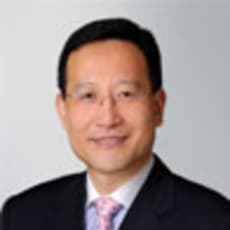 Formerly a law professor at People’s University of China Law School and a visiting scholar at Harvard Law School, Ying is a frequent speaker on legal and regulatory developments related to labour and employment, mergers and acquisitions and corporate finance in China and is quoted extensively by the Chinese and international press.